Improving your study success and making sure you’re feeling well, that’s what Study Guidance is all about. You can reach out to us in every stage of your studies, for information, advice, guidance and training. Take a look at the free workshops we offer or make an appointment for individual guidance. An enthusiastic team of study advisors, learning path counselors and student psychologists is ready to help! Study Guidance is organising several workshops during the second semester. If you feel like you could use some help regarding the following topics, don't hesitate to participate. Whether it's about planning your studies, figuring out assignments, stress or procrastination, the Study Guidance Centre is here to help! Below are several topics for which individual guidance is possible. We regularly organise workshops, which are free for students at the VUB and are taught in English. If you feel like you can use a bit of tutoring, we can direct you to activities that suit you the most. You can join workshops, meet up with other students or arrange a personalised training session, just for you! At the start of a programme, you might realise that you lack some required prior knowledge to comprehend the matter. Don't worry - this often happens due to the differences between each faculty's study programme. A study advisor can help you fill in the gaps. Even if you notice that you need some background knowledge later in the academic year, you can contact your advisor for individual guidance. This way, you'll begin your study path well prepared. Having difficulties talking or writing in English? Afraid of giving a presentation in this language? Worried that the idioms you used in your mail aren't correct? Or maybe you're anxious about the quality of your Bachelor's or Master's thesis. Contact the Study Guidance Meeting Point and you can get help from a trusted VUB student, who will act as a tutor for any of your English concerns. We look forward to helping you study, regardless of what problems you encounter. You can find out which type of tutoring can help you best at the Study Guidance Meeting Point. The guidance centre organises workshops and training sessions regarding several study skills, from learning to study independently to taking notes efficiently during classes. Find out if an upcoming workshop would suit your needs on our events page. Individual guidance is possible as well. You can contact our study advisors through the SG Meeting Point to arrange for personalised training. You are very welcome at Study Guidance in building F, on campus Etterbeek. Students on campus Jette are welcome to study at the Medical library. Studying efficiently can be a challenge. The Study Guidance Centre offers personalised advice and an excellent place to study. Call us, mail us or just drop by! Unsure as to what kind of guidance you are looking for or want (to become) a tutor? Give us a call, send us a mail or come talk to us. You can visit us at the Meeting Point at any time, without an appointment. We will have a look at your study needs together. Campus Kaai does not have a Meeting Point, but you can e-mail the SGC and they'll invite you for a talk. 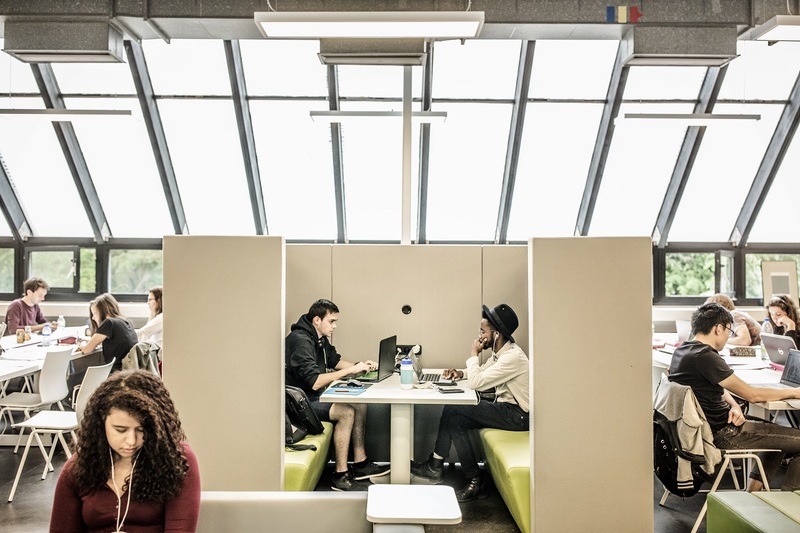 If you are enrolled as a student at the Jette or Kaai campus, you are also welcome to make use of our Meeting Point at campus Etterbeek.